The recent release of Deadpool has done something special: it emboldened filmmakers in the comic book genre to once again embrace the idea that R-rated superheroes can work. Although Batman V Superman: Dawn of Justice will hit theaters in a somewhat sanitized PG-13 format, we also know that we will receive an R-rated director’s cut at some point in the near future. There are plenty of directions to take an R-rated silver screen Caped Crusader, but one aspect of the film we can likely assume will be expanded upon is the death of the second Robin, Jason Todd. We already know that the death of a Robin will weigh heavily on Batfleck’s conscience during the events of Batman V Superman: Dawn of Justice. 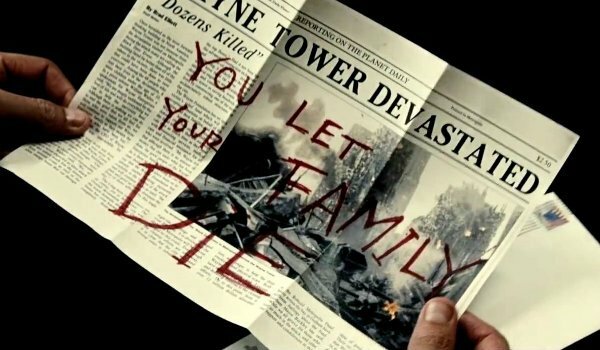 From a vandalized Robin suit on display in the Batcave, to the cryptic newspaper message that Bruce Wayne let his family die, audiences will slowly attain an understanding as to what this Batman has gone through. The PG-13 cut of the movie will likely allude to this iconic death, but an expanded R-rated would seemingly go further and allow us a chance to bear witness to the entire bloody affair. For the scene to see an expansion in an R-rated director’s cut seems like the only logical choice for Zack Snyder. Jason Todd suffered a brutal beating and death at the hands of the Joker; it’s one of the most visceral and terrifying scenes in comic book history. You can have Batman beat criminals to a bloody pulp and still get away with a PG-13 rating, but the death of the second Robin really veers more into the realm of gritty, R-rated torture. It’s an unflinchingly heavy scene that deserves reverence and faithful treatment. The death of Jason Todd represents one of the most iconic moments in the Batman canon – if not the history of comics. His death (the result of a reader vote) left Bruce Wayne with a sense of guilt that would drive his life as Batman to a much darker place than audiences had previously seen. The loss of Todd made Wayne refuse to take on any partners – until Tim Drake knocked some sense into him and became the third Robin – and started one of Batman’s most ruthless eras. To sell the gravity of this death, the filmmakers need to show a willingness to pull absolutely zero punches. Following an R-rated depiction of Jason Todd’s gruesome demise, if Zack Snyder decides to go in this direction, it opens up a world of possibility for new paths in the DCEU. Perhaps Warner Bros. could go on to craft their own R-rated live-action Under the Red Hood adaptation and introduce the Red Hood, or perhaps a version of Batman: Arkham Knight. It could go anywhere at this point, and it all starts with their awesome commitment to an R-rated cut of Batman V Superman: Dawn of Justice. What do you think? Is this the scene that will lead to an R-rated Dawn of Justice cut?